Calling all Autobots…I think we just found a Transformer! Well, we didn’t, but we did find all the Funko Pop Transformers figures! Since 1984, kids of all ages have heard the familiar order: "Autobots, transform and roll out!" Of course, this is uttered by the Transformer's iconic leader, Optimus Prime, who has several vinyl choices. 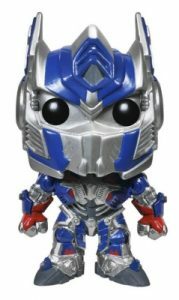 Starting with Transformers: Age of Extinction, the options for Optimus Prime include a metallic variant issued through Barnes and Noble along with a Hot Topic release featuring the semi-truck wielding a sword. 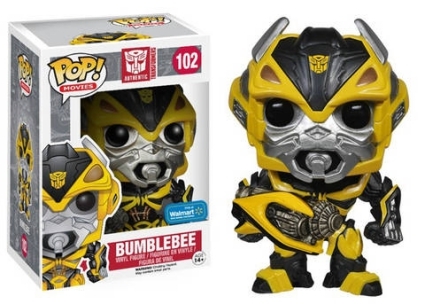 Walmart exclusives include Stinger and Bumblebee with his cannon. 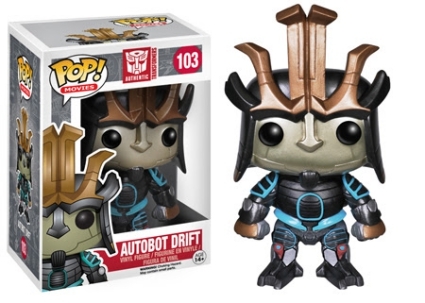 Additionally, collectors can find the rogue Decepticon assassin Autobot Drift. 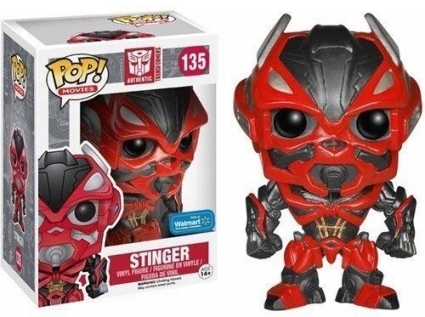 Shop for Pop Transformers Figures on Amazon. Each figure stands roughly 4" tall and is officially numbered as part of the Pop! Movies line. 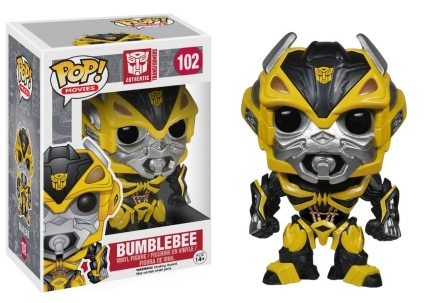 Given the large scope of the franchise, the Funko Pop Transformers lineup has plenty of room to grow beyond the movies side. Feeling a little nostalgic? Check out the 1985 Hasbro Transformers Action cards. Fans of Transformers will find modern card sets (2007 Topps Transformers, 2013 Breygent Transformers, 2014 Topps UK Transformers Collector Cards) offer unique opportunities to add memorabilia cards, sketches and even autographs to their collection. Funko POP! 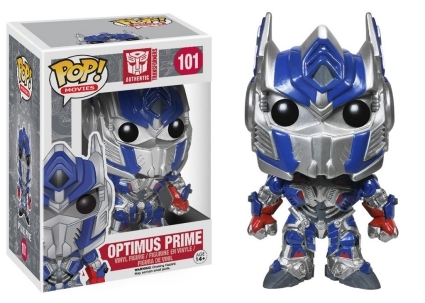 Movies: Transformers: Age of Extinction-Optimus Prime Action Figure. Funko Pop! Transformers OPTIMUS PRIME #101! NRFB! Funko Pop! 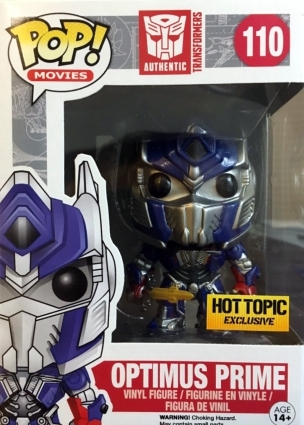 Transformers Optimus Prime with Sword #110 Hot Topic Exclusive! FUNKO POP! 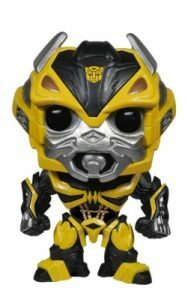 Transformers Cannon Arm BUMBLEBEE Exclusive Variant 3.75 " Vinyl fig. 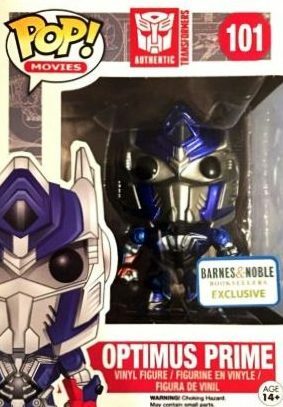 Transformers Metallic Optimus Prime #101 Barnes & Noble Exclusive Funko Pop!